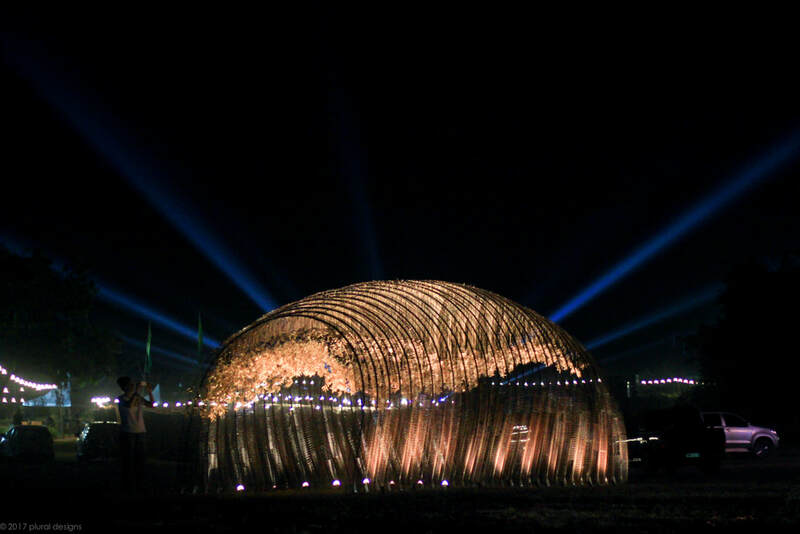 The pavilion resembles a metal cave structure comprising of rows of metal arches made from scrap metals from Saruta’s factory in Bangkok. 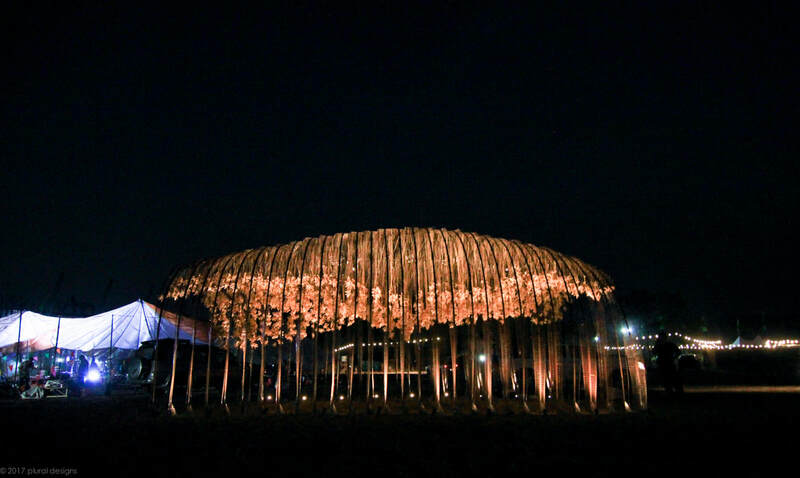 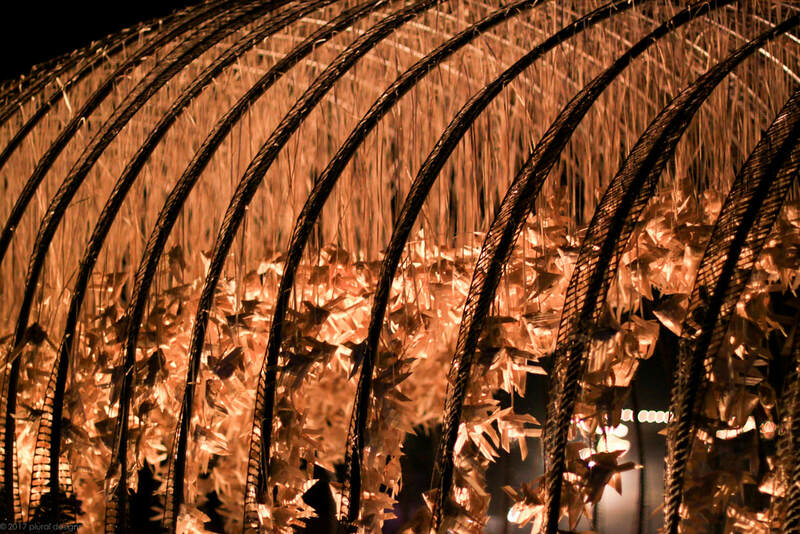 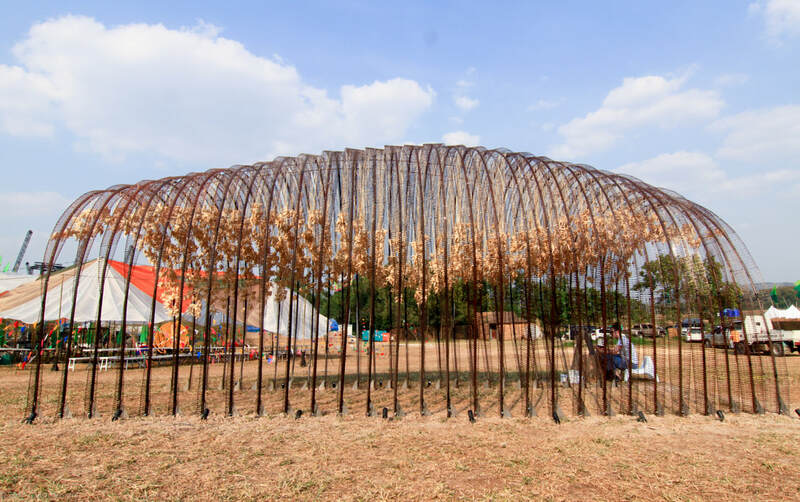 The structure, inspired by Naomi’s interest in 2D and 3D forms, offers fluidity and will be decorated by thousands of woven bamboo fish designed by Vassana to reflect prosperity and represent the symbol of Thai craft. The pavilion will be completed by Piboon’s attention to detail. 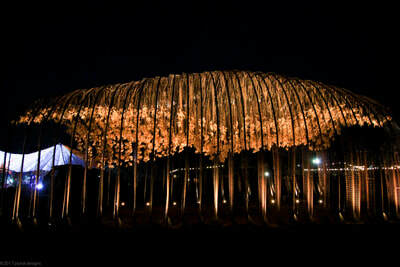 It will be lid at night to provide interaction between light and forms. 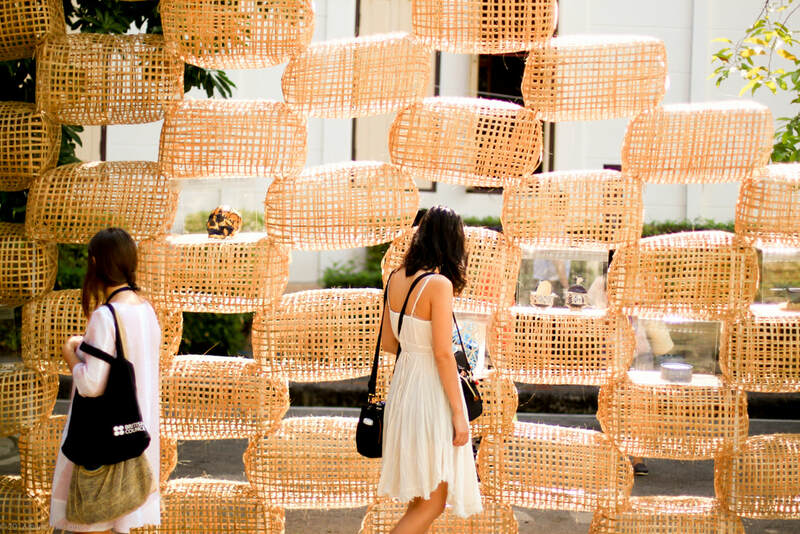 ​Building on British Council’s work in Craft & Design starting in 2014, which has involved more than 50 designers and makers in Thailand and the UK, the collaboration at Wonderfruit will engage a Scottish designer maker, Naomi McIntosh, and three Thai designer makers, Saruta Kiatparkpoom, Vassana Saima, and Piboon Amornjiraporn, as well as local basket weavers from Chiang Mai and Chonburi, to work on an installation which reflects the cultural collaboration of the UK and Thailand, and the meaning of craft in both countries. 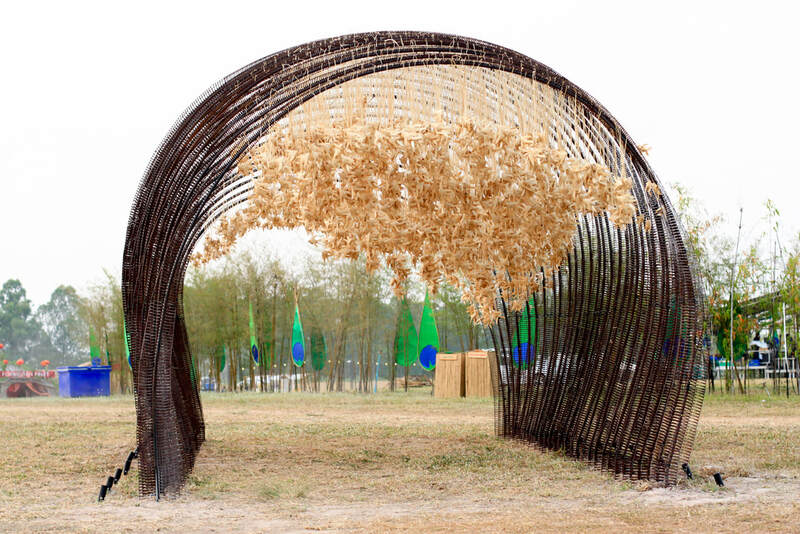 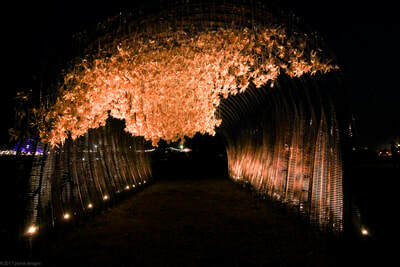 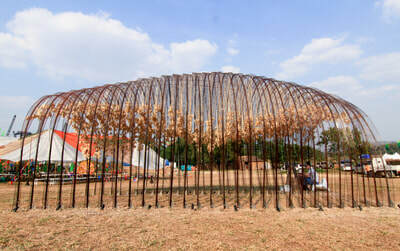 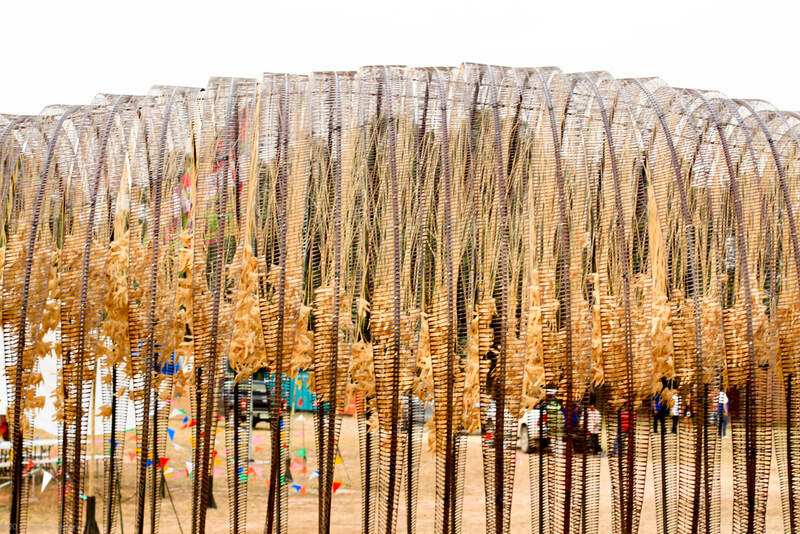 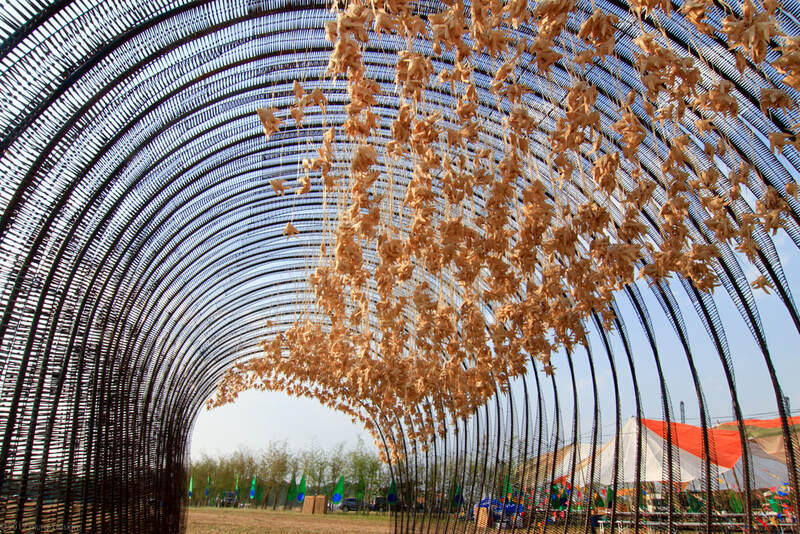 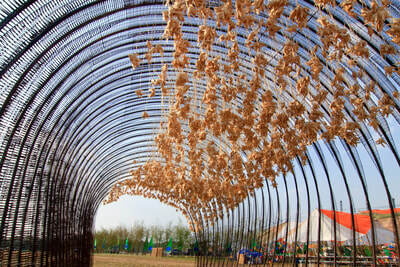 The installation – a pavilion - will be completed by festival goers, who will take part in this hands-on process to make the pavilion an organic art piece.